Socialbakers Suite: "SocialBakers Comprehensive Review"
We use SocialBakers to schedule content for our various clients on Facebook, Instagram, Twitter and Pinterest. It is not used for every client within our agency, but rather it's used for those whose contracts include social media within their scope. SocialBakers allows us to not only schedule content seamlessly, but we can also see the analytics after the content is posted. We also use SocialBakers to pull reporting each month to show our clients progress in their social media growth. Additionally, we use SocialBakers to find influencers to activate for various campaigns for our clients. The influencer tool allows us to identify influencers that would be a great fit for our campaign. Influencer identification includes the ability to select age, location, and interests. Scheduling allows for agencies to pass along approval process to client. Scheduling is completely seamless from uploading content to approval to posting. SocialBakers is great for scheduling content since it allows you to upload content, add copy, schedule it for a time it will get the most engagement and eyes, and pass it along the approval pipeline for your organization. Additionally, the reporting and analytics tool provides a comprehensive overview of campaigns. I do not recommend SocialBakers for community management. The process is too complicated and takes far longer than other tools available. Socialbakers Suite Review: "Socialbakers is Great, but Expensive!" We use Socialbakers to have better insights and better statistics about our social networks and our competitors. It’s also very helpful to follow the mentions we have had. The option of reports they give you are truly great and the option to export them really makes your life easier. It is also really easy to use and to get used to it. Great statistics. The system gives you very detailed statistics of your KPI’s. Great report system. It’s very easy to use, you can export data and in different formats. Not hard to use. I would have said it is easy to use, but it is not very easy. It gets easy once you get used it. Sometimes there are so many options that you don’t know where to start. Very Accurate. The system has a very accurate algorithm or AI system. I’ve compared it with Facebook statistics and there isn’t a significant difference. I understand this is a really good and useful software, but the prices are too high for the basic suite. If you want more features you have to pay more and you could end up spending a lot of money. I have received just one follow up from them since I subscribed. They need to give continuous follow up to their clients. They need better customer service. Inform clients about new features and those that are going to disappear in a better way. I understand that the main social networks metric algorithms change and lots of features disappear and new ones appear, but they should let us know which are changing and which are being added. If you have enough money to spend on marketing tools and software and are willing to spend even more for more and better features, this is your option. Socialbakers is really good but is the best with all of the paid features they offer. If you are looking into the basic version, you can find the same elsewhere, cheaper. Socialbakers Suite: "SocialBakers Savvy Review"
We use it on a departmental basis, with approval processes extending into our account team. Currently, we use it to schedule and approve social content, monitor social channels, and pull analytics. I think for smaller clients (under 500K followers), it's a good tool. It's great from an approval process standpoint, which is a new feature added. My account manager has been fantastic in answering all of my questions and concerns, which has made the process smoother. 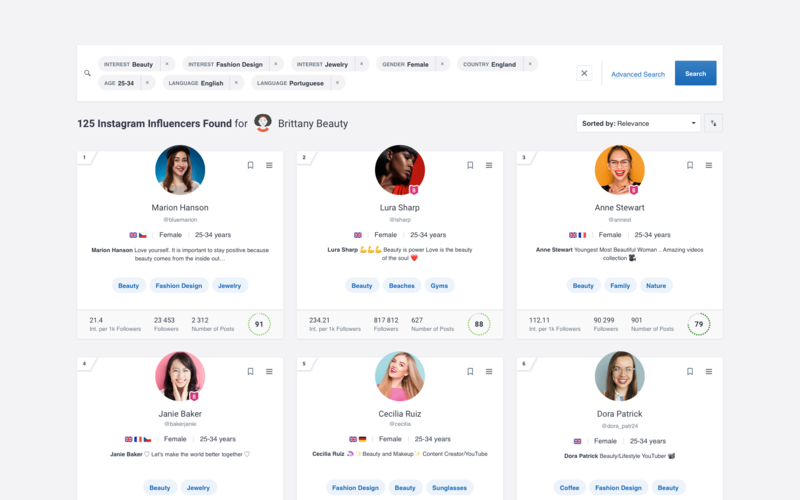 We did get the tool for its influencer search, which is something we haven't used as frequently. Socialbakers Suite Review: "Reports to impress"
I used Socialbakers for reports for special clients. I like the different kinds of reports for a month, as it gives me different options to analyze the data. I like the software, but we handle a small amount of Facebook fan pages for our clients, and they don`t have a package offer that can be very useful for us, with special pricing for more than 5 accounts. Socialbakers Suite is well-suited if you want to impress a client, has a lot of views on data to share. Socialbakers Suite Review: "Socialbakers - A tool you need but can't customise or afford"
Socialbakers Suite is being used by our Social Marketing team for analysis purposes. We had trouble with getting a good and automatic overview of our social media efforts. We went with weekly/monthly reports that combined data from our social media(Facebook, Linkedin, Twitter, Instagram and our own content marketing blog) sources. The report was compiled by hand and it took about 2 hours for each weekly report. We tried to automate the process by getting the data straight from social media platform APIs but that didn't work out because they are with quite limited use. Socialbakers enabled us to combine data from Google Analytics, Facebook and Instagram (we chose not to monitor Twitter) and display it on dashboards which were easy to use for our social marketing team. Dashboard widgets are not flexible - you cannot create a custom widget. Some basic functionality is behind a (huge)paywall - for example, API connection to get the data from Socialbakers to your own data storage. Their pricing is rigid. Same pricing for big markets (Western Europe) and small markets (Eastern Europe). Even though the budgets and markets are way different. Got a vibe of arrogance from customer support when asking for custom widgets and custom plan for extra modules. I'm not going to pay 2000€ a month for target group insights when my potential customer base is ~1 million people. Socialbakers Suite enables users to get a quick overview of how your social media platforms are performing. The user interface is quite comfortable and clear. Analytics enables users to drill down into data to get useful insights. We don't use the publishing tool, but that's only because we have other worked out processes already implemented - but I've been told by our social media managers that the tool seems good for managing content creators and publishing post across platforms. It also has a convenient calendar function - but we prefer Facebook own variant. If you want to get some more insightful(custom) data on your dashboards then you can dream on. As far as I can tell Socialbakers is not interested in developing those options. Socialbakers Suite Review: "The right tool you need to improve your social media performance"
We started using Socialbakers because we needed high-quality reports for our clients and we found it very useful for our reports. It's great to analyze your performance in social media and find out how to improve. Socialbakers Suite Review: "Socialbakers Analytics - Ideal for Promoted Post Insights"
Socialbakers Analytics is heavily utilized by strategists across agency disciplines. This includes integrated planning, social, research, analytics, PR and new business personnel. Socialbakers is helpful in providing a mix of basic reporting, owned and competitive content analysis with specific post and brand labeling, and paid optimization insights. Their analytics suite is essential when providing clients with a sense of their place within the social competitive landscape. Post Performance Prediction helps you lower your CPC as well as increase the amount of engagements you receive on your Instagram posts. Quickly and easily understand the paid content strategy of your competitors, but also justify your own promotion budget as a result. Detailed chart that outlines the predicted interactions that each post will receive in the upcoming hours. Socialbakers can improve their influencer identification and evaluation capabilities. Paid post prediction covers organic-only content to inform when it should receive amplification. Being able to predict the future paid performance of a paid post would be beneficial. Social channel credentials are needed for deeper insight tracking. 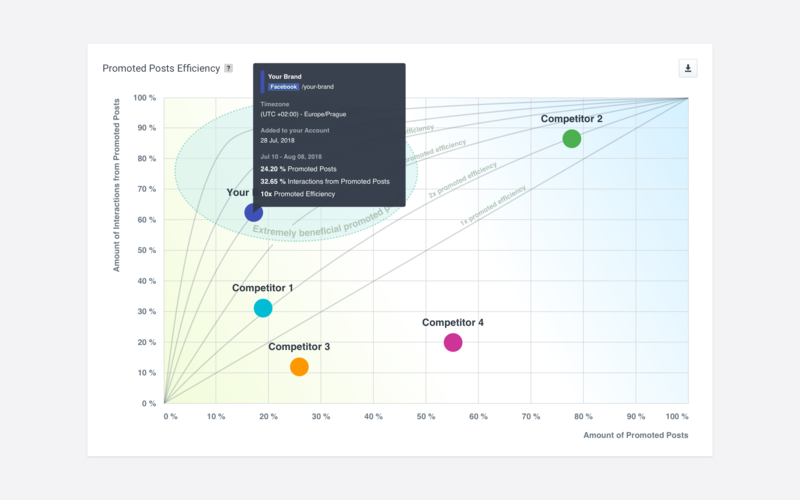 Competitive Analysis, most of the value your team can gain from the platform comes down to a mix of basic reporting, content analysis (with labeling), and paid optimization. Both the brand strategists and the new business team can use the tool for their unique use cases. Socialbakers Suite Review: "Social analytics from a reliable source"
We're using Socialbakers to analyze owned social media performance for our channels, as well as our competitive set. We decided to use Socialbakers instead of native tools or our CMS analytics because it allows us to look at our own performance as well as competitors' performance on the same levels. This tool has helped me diagnose, and even catch, some things that we were not expecting to see. Once, I determined that a product feed API was down and not generating pins for us on Pinterest because I saw that our content count had flatlines for longer than normal. I have use several features in Analytics to help me sort and analyze content on the fly, like post tagging and account tagging and analysis is straightforward and user-friendly; you can easily look at performance in whichever way you prefer, in the visual UI, Excel, Dashboard. I also find the output from Socialbakers to be fairly reliable and accurate; I have compared outputs from native and other analytics platforms and the numbers are usually within a reasonable margin. The predictive analytics on Facebook and Instagram are interesting and can help us understand how to make better creative decisions. They are always taking my feedback on board and always working towards integrating newly available platform data and metrics, though sometimes they are a bit late to the game with new metrics. Data exports to Excel and the API. 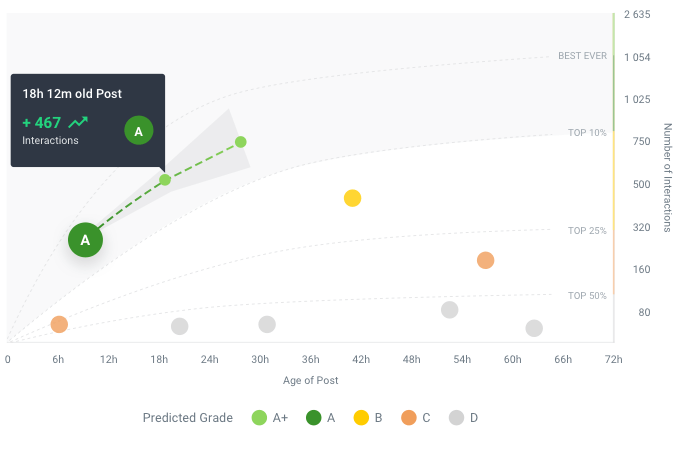 Predictive analytics for FB and IG posts. Not easy to synch post tagging from CMS. Sometimes difficult to make comparisons with previous time periods (not that this is always the best idea, but we like to look at what we did previously). Benchmarks feature is a bit weak. It delivers what it promises - to deliver consistently and regularly. The entire platform is quite easy to use and they are improving it all of the time. Socialbakers Suite Review: "Market leading analytics with masses of detail"
We use Socialbakers to help our clients with a particular need for heavy data-based insight. It's primarily to gather valuable information on how the client performs against competitors, and evaluate the success of our strategies with them. It's used by the social media teams at both our agency and our client's, however the information used is presented at all levels in both organisations. If you need strong evaluation of your social media campaign strategy, socialbakers is the market leader, for a reason. It's really accessible. Socialbakers Suite Review: "Check Out Who Else is in Your Social Media Kitchen Before Using Socialbakers"
Our team used Socialbakers Analytics from 2015 - 2016 for social media competitive analysis. Socialbakers offered great reports and insight into how our social media channels compared to the channels of our competitors. The business concerns that Socialbakers addressed for our company was making sure that we kept up with how our competitors were using social media to reach their customers. In most cases we stayed competitive with our competition on social media but Socialbakers showed us several metrics we could improve on. Competitive Analysis was a strong point for Socialbakers when comparing our metrics to our competitors. Facebook Ad analysis was helpful through Socialbakers because it showed us how our ads could perform better. Accurate metrics for Facebook in particular with Socialbakers since Socialbakers is a close partner of Facebook. Socialbakers could have more support based in the United States. We ran into an issue with scheduling time for update calls and receiving feedback from emails because our representative was based on another continent. Socialbakers could offer some additional features that set them apart from their competitors. Socialbakers could be in better contact with their customers from a sales manager and an account manager position. 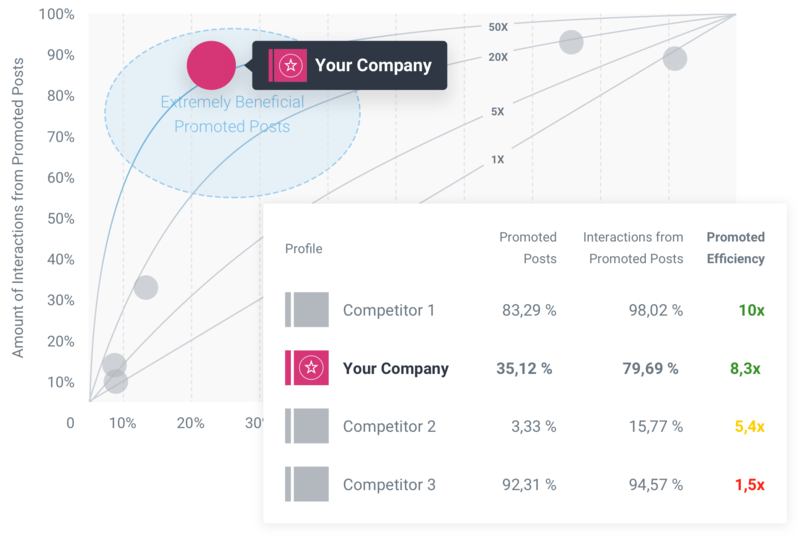 Socialbakers Analytics is well suited to compare your business' social media channels to the channels of your competitors. 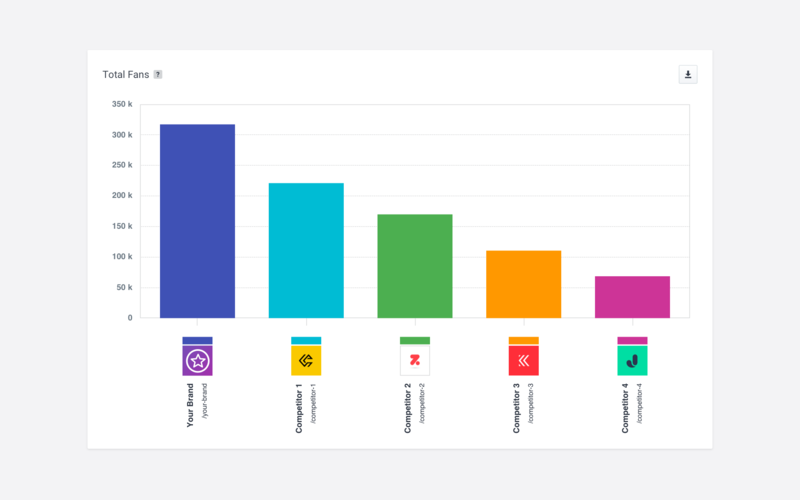 Socialbakers Suite: "The best tool to understand your communities and measure the performance of your social media strategy"
SocialBakers Analytics is our main platform to analyse and centralize the insights of our various social media platforms. It also allows us to benchmark all our principal competitors and compare with the average of our market. It's a real-time decision making tool that helps us maintain the highest level of engagement with our communities and response rate from the team. It's used by the whole social media department in order to share social media insights with the rest of the company, board included. Engagement Rate is clearly defined in SocialBakers and can be compared with competitors. Its definitely a metric and not only a concept in this platform. Response Rate Insight give us a clear insight of the performance of our team in order to maintain the quality of service we provide to fans/communities/customers. Presentation of data in SocialBakers Analytics platform is complete and simple at the same time, the tool can be used by social media expert and newbies at the same time. Mobile app is a bit limited and not so easy to use as the web version. Socialbakers Suite Review: "A great tool for tracking & benchmarking performance on multiple platforms"
We've deployed Socialbakers analytics to all of our community managers, to regional digital leads and to the central social media team. We use it to monitor performance on key KPIs including engagement and response rate. It is equally used to benchmark performance both internally across regions and markets and also with external industry and non industry pages. 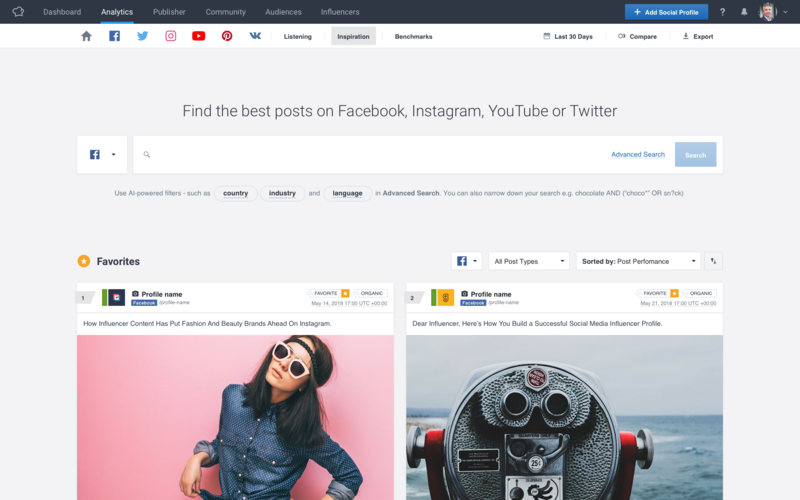 The content news feed function is used to allow community managers to see what content is getting good results for their colleagues in other markets. Its great if you have a large brand universe with many pages on many platforms and you need to create different levels of reporting. Community Managers look in detail at their performance, Regional leads can look at a snapshot of how their region is doing and as the Global social lead I can get the overall picture but also drill down to understand what's driving the results. Socialbakers Suite Review: "Socialbakers: Accessible depth of insight"
We use Socialbakers Analytics at all social touch points across departments and countries: within marketing, research, PR, corporate communications and customer care. It allows us to track competitors, benchmark ourselves, and easily share information with our C Suite. I'd like an integrated listening tool, so I can rely on one supplier for both. I'd like a robust listening tool element added to the analytics. 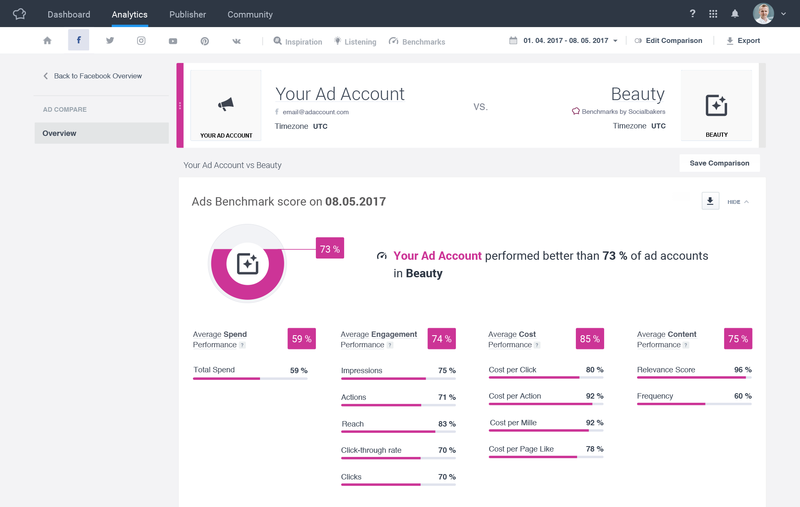 Socialbakers Suite Review: "A Flexible & Visually Dynamic One-Stop-Analytics-Shop"
Social Bakers Analytics is being used by a variety of different business units across L'Oréal. From the brands themselves to our corporate employer branding team, the tool centralizes the monitoring of the hundreds of social accounts worldwide. Depending on the user, the tool can help be on top of an international fleet of accounts or an entire portfolio of brands in one geographic area. 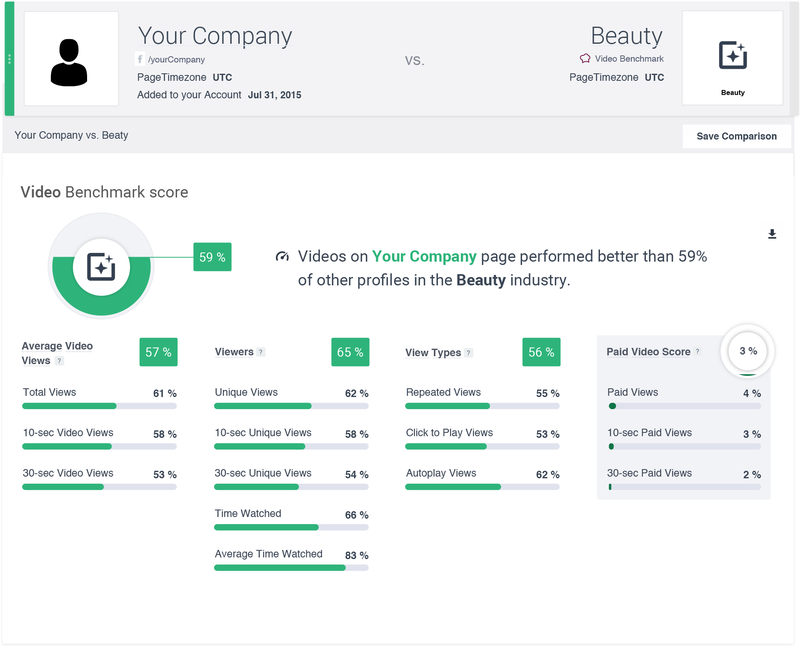 Beyond montinoring our own pages, Analytics helps us keep track of our competitors and compare their performance with our own as a way to level set and benchmark. Easy to use design and interface - the fact that we can easily visualize and navigate makes it easy to digest and find data. Simple reporting - We can quickly download reports that we circulate to different teams and to upper management. After you set up 1 report, you can just schedule it and it arrives in the inboxes of whomever you need. One-stop-shop. Rather than going to each social tool separately, learning many different systems and compiling data into a spreadsheet, we just need to visit one place to see all of our different social platforms. Ensure that your industry vertical is included in their list of industry benchmarks. If you only have 1 or 2 accounts, it might not be necessary to use Analytics - even though it can help, the cost is most justifiable with a larger portfolio of brands. Socialbakers Suite: "41? 29! SocialBakers Review by Kayhan Dural"
We have been using Socialbakers since it first launched. Our partnership with Socialbakers was first more of using it to evaluate the engagement rates of our brands and comparing them with similar brands from the same industry. Now, we are using Socialbakers in the strategy and campaign creation phase as the tool itself has been improved significantly over years. We are using Socialbakers for more than 150+ pages right now and the number will definitely increase in upcoming years. We mostly use Socialbakers’ analytics tool for reporting as it is a very strong tool and is much better than its competitors. It has a very clean interface making it very easy to use for our team. Sometimes, we don’t even implement a training course for our new employees, as the platform itself is very clean and understandable. 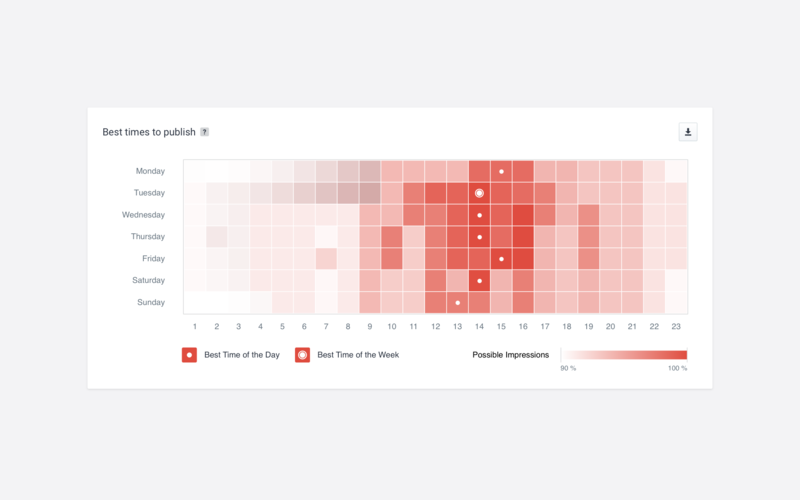 With the help of the User Activity section in analytics, we can have great insights about which post is performing better at what time of the week. This is a GREAT way to have more interactions learning from the older posts’ performance in terms of time and interaction count. Socialbakers Suite Review: "Socialbakers gives us the edge with Facebook Page analytics"
Socialbakers has given us an easy-to-use and powerful tool to ensure that we can effectively quantify our brands' performance on Facebook, as well as how we stack up against our competitors. Regular reporting is a breeze with Socialbakers, and the myriad of data visualisations help us constantly identify ways to adjust our own content strategy. Building on the above, our Account Manager and the Socialbakers support team have always been extremely prompt and thorough in giving my team and I personalised assistance to ensure we're getting the best results possible! For Facebook and Twitter analytics, Socialbakers is the most robust analytics platform that I've used. Socialbakers Suite Review: "Socialbakers Overview"
VML Qais uses Socialbakers across a variety of departments, from initial strategy and planning, to social content strategy, implementation and analytics. We find the tools provided by Socialbakers to be best in class for providing the level of data required. Socialbakers Analytics provides in-depth page and post analytics for Facebook, Twitter, YouTube, Google+, LinkedIn and Instagram. There are few tools which provide the detailed reporting to be found within the current dashboard. We are very much looking forward to the new version of Analytics being rolled out. Integrating this with our use of Builder will be key for improving the day-to-day management of our clients' social media accounts. The only thing we're missing at the moment is an API feed! There are a few channels missing from Socialbakers, but where those are required we can easily find tools to compliment the analytics provided by the key channels within analytics. Socialbakers Analytics is used to monitor our Facebook and Twitter communities in Europe. Only the social media team uses it. Socialbakers Suite Review: "The best social data and analytics tool on the market." We use Socialbakers to gather intelligence on competitors and monitor our own client's performance. It addresses a gap in the social media analytics space that no one else [has by providing] insight based on data. Designed to be as simple or complex as you need it to be. Socialbakers is well suited for all users at all scales. Socialbakers Suite Review: "Great and user friendly social media analytics platform, useful for benchmarking and understanding the effectiveness of your social editorial plan"
Socialbakers Suite Review: "Measuring Social Performance Across Multiple Brands"
The greatest strength of the tool is its visualizations and the competitive analysis it provides. The tool helps in understanding a brand's social performance against other brands. The tool is a bit limited in terms of the number of social channels it analyzes (3). The tool currently doesn't provide post level reach data for Twitter. The tool is a bit limited with the post level twitter metrics and with the number of social platforms it currently analyzes. However, it is a great tool overall especially for measuring social success across a category or against other brands. Socialbakers Suite Review: "Socialbaker User"
Friendly UI/UX easy to browse around. I was able to find the information I wanted the very first time when I used the site. Provide different levels of information. You get more information when you register as a user without having to pay. The site contains data from different social networks such as Twitter, Facebook, YouTube. Found it very useful for market research. Exporting graphs for non-pay members. Data Analysis report to all types of users. The whole team is aware of Socialbaker and they are using the site pretty often as well. 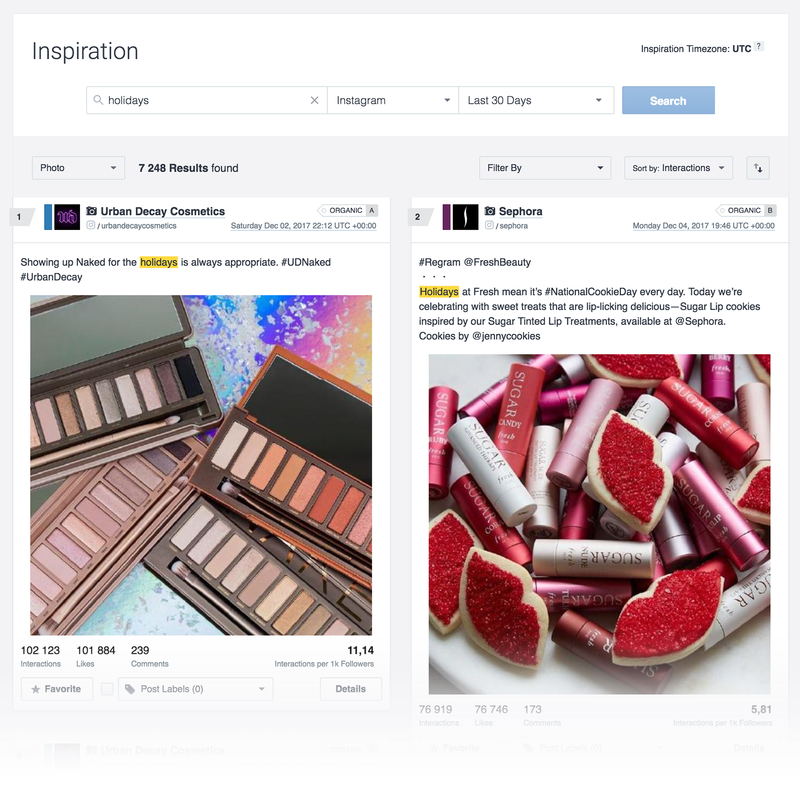 Socialbakers Suite is an AI-powered social media marketing suite. (According to the vendor, it is the first of its kind.) 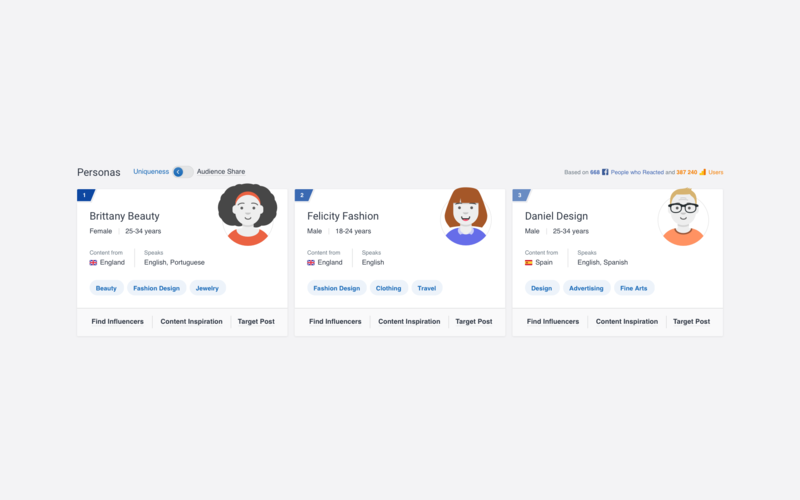 It is designed to enable marketers to understand their personas, gather market intelligence, find influencers, track online conversations, and measure marketing ROI in one place. AI tools can segment the user's audience into clear personas based on their interests, behaviors, and affinities. Users can leverage AI and data to create content tailored to their personas. The software provides content ideas, recommendations about publish time and targeting, and advanced content analytics. Users can manage multiple social media accounts from a single dashboard. They can benchmark performance, optimize budget, streamline content workflow, and discover influencers based on their firmographics and personas. Users can track relevant keywords and mentions to help understand the conversations and sentiment around their business. The software also helps identify brand advocates by tracking individuals who mention the user's brand most frequently. Users can collaborate across teams and agencies by setting up teams, roles, and permissions. According to the vendor, this helps users provide on-point customer service and build an engaged community around their business. Promoted Post DetectionContent InspirationVideo benchmarksGet unlimited ideas for engaging contentAlways publish when your audiences are onlineUncover your competitors' paid strategiesSee how you stack up against the competitionLet AI define your customer personasDiscover the right influencers for your businessKnow how your videos standup in your marketOptimize your spending on social mediaUse best-in-class SMO tools to identify which of your organic posts need a boost. For the Smart, Scale and Integrated 360 plans please request a one-to-one demonstration at socialbakers.com/company/request-demo - Price on request.